If you're in IT, quite a lot is expected of you and your team: be technologically advanced, business-minded, customer-focused, and financially astute, all at once. In the face of unforgiving competition, rampant globalization, and demanding customers, business leaders are discovering that it's absolutely essential to have a strong, active partner keeping a firm hand on the decisions and strategies surrounding information technology. 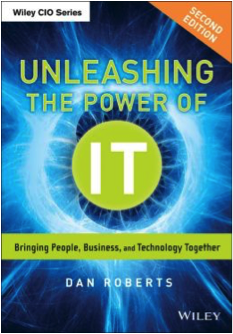 Unleashing the Power of IT provides tangible, hard-hitting, real-world strategies, techniques, and approaches that will immediately transform your IT workforce and culture, presenting the new mindset, skill set, and tool set necessary for IT leaders to thrive in today's challenging environment. Profiling several world-class organizations that have implemented the principles in this book, Unleashing the Power of IT reveals the best practices to get you on the path to implementation.